The Common Agricultural Policy of the European Union (CAP) is a central point of ongoing discussion and reform. While the debate often revolves around the environmental impacts caused by EU agriculture, the costs and expenses already incurred for environmental protection by farmers themselves are oftentimes neglected. 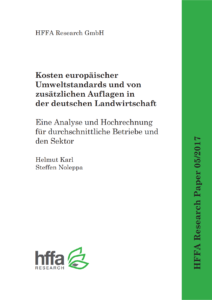 In this context, HFFA Research Paper 05/2017, written by Helmut Karl (Ruhr-University Bochum) and Steffen Noleppa (HFFA Research), aims to quantify the often neglected costs of EU environmental standards and regulations for German agriculture. Specifically, the study focuses on the costs caused by the Water Framework Directive (WFD), the new Fertiliser Ordinance, additional plant protection regulation, specific standards of animal husbandry, bureaucracy/cross compliance, greening and Instructions on Air Quality Control were analysed. The costs incurred by the aforementioned standards and regulations are estimated to total over EUR 5.2 billion. 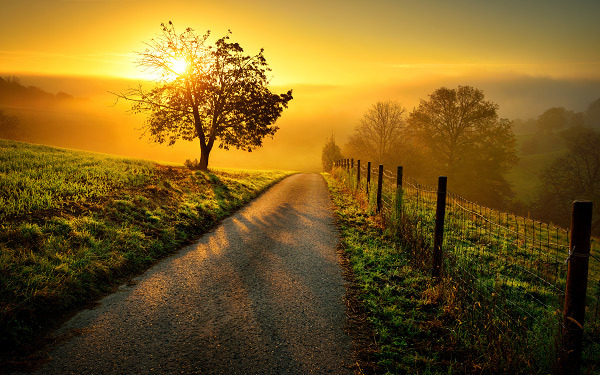 Accordingly, for an average commercial family farm in Germany, the annual costs caused by these standards would amount to EUR 28,000 annually or 367 EUR/hectare. As the authors point out, these costs are far from being economically negligible and represent a considerable financial burden for farmers and their families. In a second step, the study also compares the additional costs of EU farmers to those of competing non-EU farmers. The comprehensive analysis indicates that, indeed, the corresponding costs for non-EU farmers are far lower than those of EU farmers. This leads to a competitive disadvantage as well as lower incomes for farmers in Germany. Hence, the authors urge decision-makers to take the results of this study into account when discussing the further development of the CAP. More information and supplementary material can also be found on the website of the German Farmers’ Association (DBV – Deutscher Bauernverband), which commissioned this study.